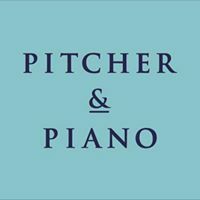 With an all new roof terrace and an atmospheric bar design, Pitcher & Piano Derby is perfect for enjoying great food and cocktails whatever the occasion. The vast split-level roof terrace is the ideal spot whether it’s laid back al-fresco dining at our Mediterranean-style low tables, or relaxing on our fixed cushioned seating with some drinks from the outdoor bar. We can create the mood for any event so why not let us host your party? We are happy to tailor the food and drink to your exact requirements and have a number of areas available.